Apple set a new pricing bar for ultra-premium smartphones with the iPhone X, which costs a whopping $1,000 in the US. Indeed, few phones, at least their base models, break the four-digit price mark. $1,000 is a lot to ask for a device that may last only a couple of years before you buy another one. It's a top performer now, but who knows how long Apple's A11 chip turning the wheels inside the iPhone X will last before it gets too slow for people's tastes. 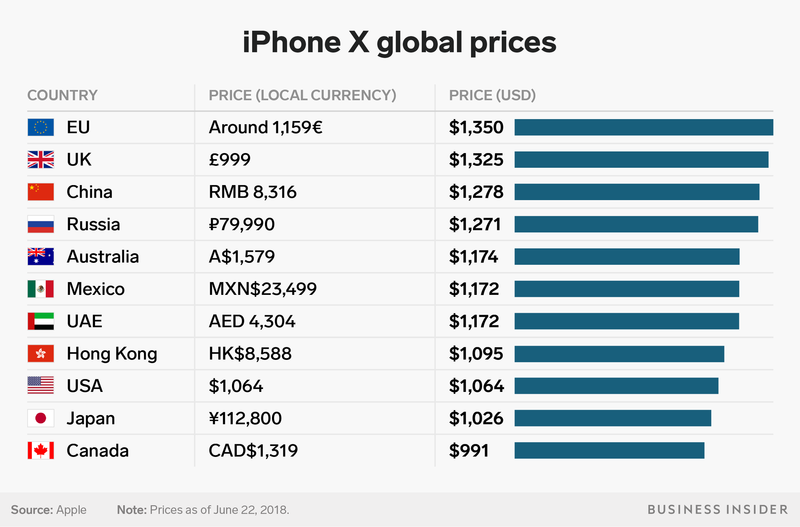 If you live outside the US, the iPhone X's price tag could be an especially harsh demand, as Apple's new ultra-premium iPhone X can cost considerably more abroad. Update: The pricing for the iPhone X in the US reflects the price after the average sales tax. Higher pricing outside the US for Apple devices isn't a new phenomenon, as many of Apple's devices traditionally cost more abroad. But seeing as the iPhone X's price tag is already a big question in American minds, it's easy to assume that it'll be harder to justify whether the iPhone X will be worth it if you live outside the US. Anaele Pelisson contributed to an earlier version of this post.